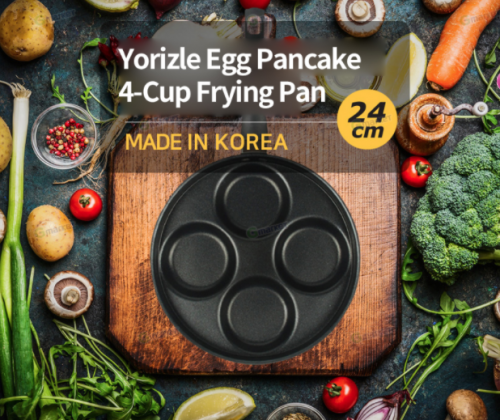 If you have been following the popular Korean reality show – Youn’s Kitchen 2, you might have seen this multiple cup frying pan that Chef Youn used to whip up her famous traditional Korean dishes for those hungry patrons at Garachico! That Yorizle 4-cup frying pan is back in an upgraded version! The durability has been improved with Korea-manufactured aluminium, pan rim has been adjusted for easier pouring, added non-stick coating has been applied, and lastly a more stable handle with advanced grip has been adopted. The best thing is the price remains the same at 19,800 won! Your breakfast preparation time can be reduced by cooking 4 dishes at the same time, hooray for longer sleep! Pick one up over at Gmarket, local shipping is FREE! Sign up with us to gain access to our Korea warehouse.